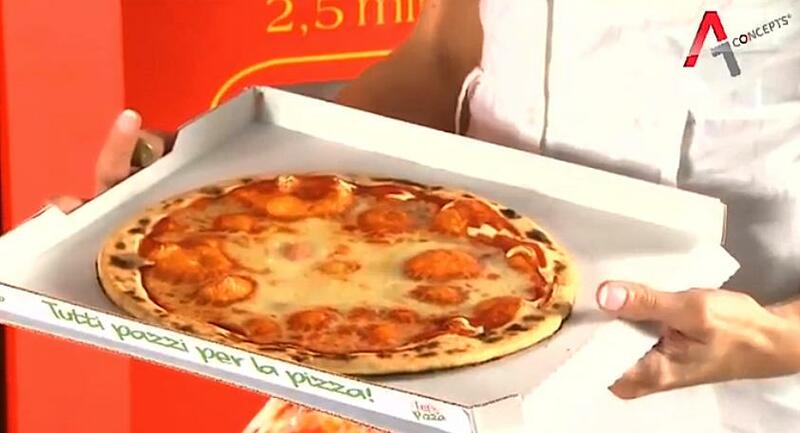 A pizza vending machine that’s been serving up the popular snack to Europeans for the last few years is set to make its debut in the US. It has to be said that when we first heard about the Let’s Pizza vending machine, we imagined it chucking out a soggy, microwaved, unappetizing piece of mush, so imagine our surprise to discover it actually makes fresh pizza while you wait — and it doesn’t take particularly long, either. Created by Italian Claudio Torghel and distributed by A1 Concepts in the Netherlands, the Let’s Pizza machine takes just 2.5 minutes to knock out a whole pizza — and that includes making the dough. The machine, which will charge around $5.95 for a 27-centimeter (10.5-inch) pizza, will eventually be located at places like malls, airports, hotels, supermarkets, universities, (your bedroom?) and gas stations. 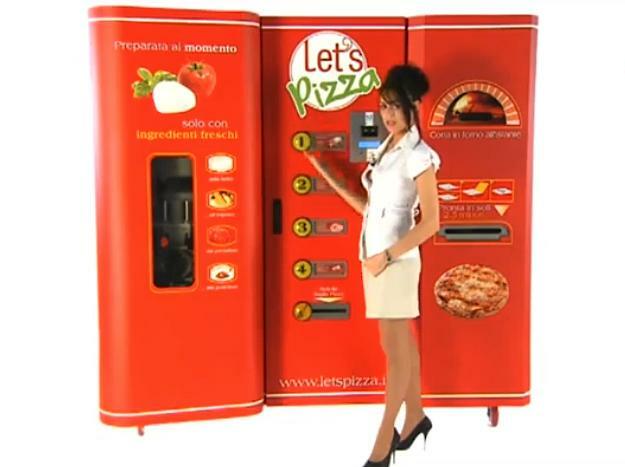 The Let’s Pizza vending machine is set to appear in the US over the summer, in time for October’s National Pizza Month. The only question is, in a country that’s already home to more than 60,000 pizzerias, will there actually be any room for a pizza-making vending machine? At MIT, Caleb Harper used his personal food computers to alter the climate in which he grew basil. Exposing it light for 24 hours a day changed the flavor profile of the plant, making it spicier and stronger.